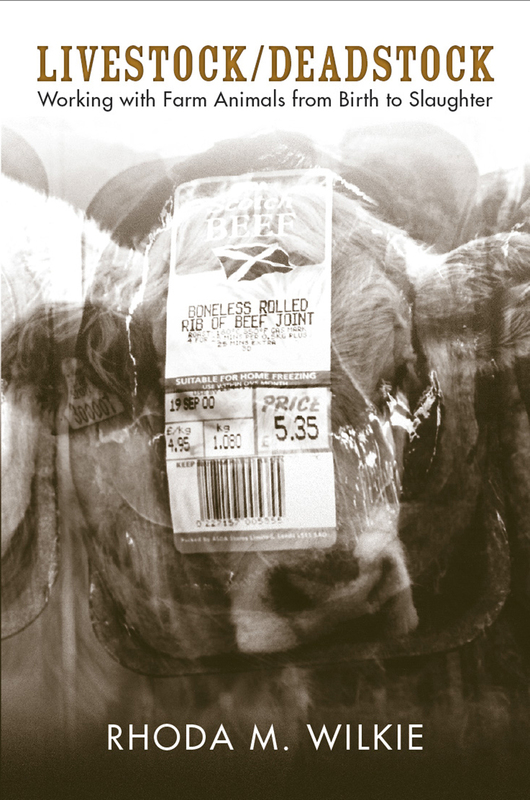 Livestock/Deadstock by Rhoda Wilkie received the British Sociological Association’s Philip Abrams Memorial Prize for the best first and sole-authored book within the discipline of Sociology. In this blog entry, Dr. Wilkie is interviewed by Network, the BSA newsletter, about her work and the award. 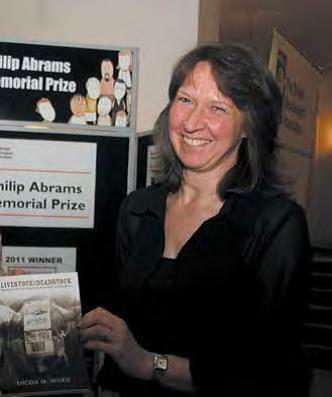 Dr. Rhoda Wilkie was awarded the Philip Abrams Memorial Prize by the British Sociological Association for her book Livestock/Deadstock about people working with farm animals; the book explores the experiences and attitudes of those involved in the daily tasks of breeding, fattening, marketing, medically treating and slaughtering food animals. The prize is for the best first and sole-authored book within sociology and was established in honour of Professor Philip Abrams, whose work contributed substantially to sociology and social policy research in Britain. He is remembered for the encouragement and assistance he gave to many sociologists at the start of their careers. The BSA President, Professor John Brewer, who gave out the prize, said: “In this anniversary year for the BSA, it’s fitting that this prize honours Philip’s legacy. He had a great commitment to the BSA and to the profession of sociology. He was one of the chief organisers of the 30th anniversary conference celebration. “Indeed, he went on to co-edit one of the conference volumes, which is well known to many of us under the title Practice and Progress: British Sociology, 1950 to 1980. And thus it seems in a way so fitting that his immense contribution to the BSA, and to British sociology, is kept alive with this prize. “It’s going to be difficult for me at this point not to be sentimental and give something like a father-of-the-bride speech, because I’ve known Rhoda ever since she was a PhD student. “For example, livestock workers have different opportunities and constraints depending on their roles in the productive process from birth to slaughter. Breeders tend to have more knowledge and more opportunities to handle their animals than those who specialise in fattening up animals for slaughter. “Agricultural workers and hobbyists form varying degrees of emotional attachment to and detachment from the animals they work with. They might start off being emotionally aloof then get to know some of the animals. “This may occur when animals deviate from the routine process of production – for example, if an animal becomes ill or if an animal is on the farm for many years. Although livestock are routinely slaughtered it can be emotionally challenging for some workers to send individually-known animals to be killed. “This indicates that, in practice, the commodity status of livestock is ambiguous and far from static. To varying degrees, workers commodify, decommodify and recommodify the animals they work with. She found though the profession could be poorly paid, and outsiders often saw it as dirty work, many of her interviewees talked about how they enjoyed working with the animals. She carried out fieldwork in 1998 and 1999 mainly in north east Scotland, but in other areas of Scotland too. She wrote this up for her PhD at Aberdeen and then into the book. Her fieldwork took place mainly among those working with cattle and sheep, and she met farmers, slaughterhouse staff, vets, auction workers and hobby farmers. “This is one of the first attempts to explore human-livestock relations from a sociologically informed perspective,” said Dr Wilkie. Interview and photo reprinted from Network Summer 2011, the magazine of the British Sociological Association with the permission of the BSA. 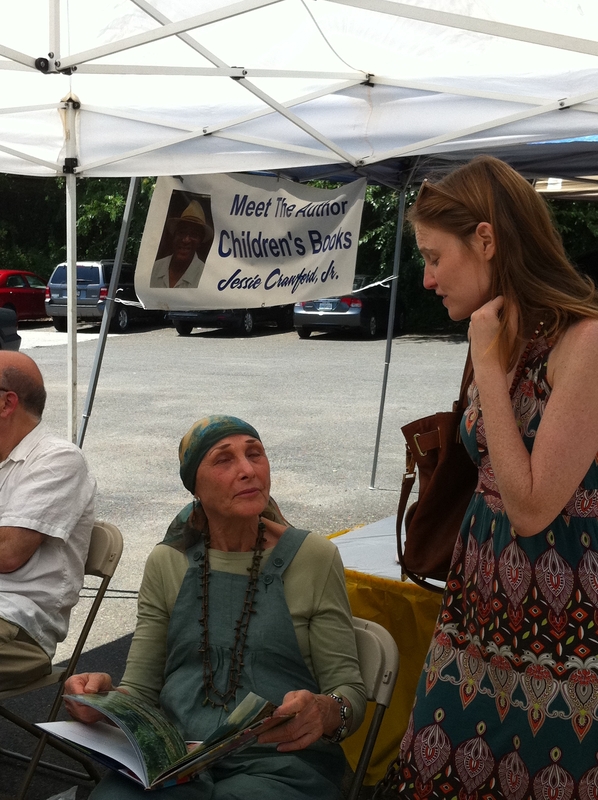 Last weekend, Temple University Press partcipated in the Chestnut Hill Book Festival on Germantown Avenue in Philadelphia. 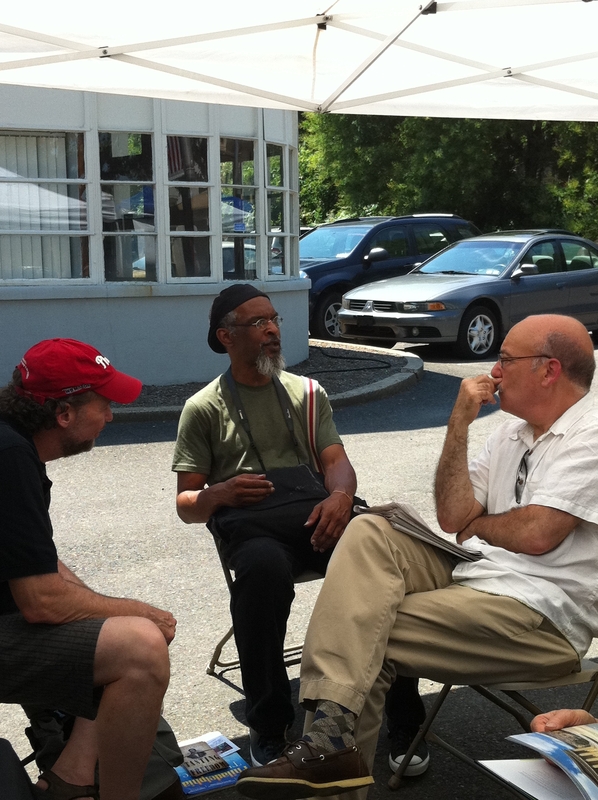 Bottom photo: E. A. Kennedy, Life Liberty and the Mummers (center) with Tasting Freedom authors Daniel Biddle (left) and Murray Dubin (right). 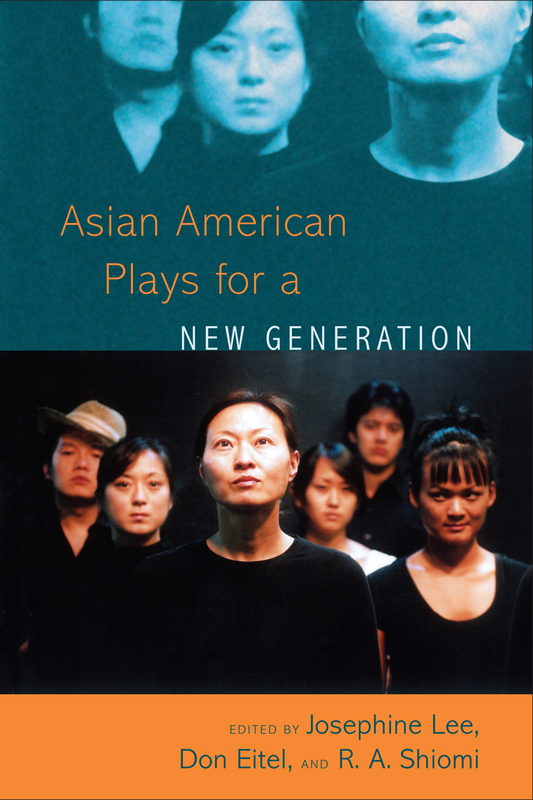 In this blog entry, Rick Shiomi, co-editor of Asian American Plays for a New Generation describes the New Performance Program and the process of selecting plays as being like a Survivor competition. Two plays tied together in this anthology are Asiamnesia by Sun Mee Chomet and Sia(b) by May Lee Yang. They were both part of the first round of Mu’s Jerome New Performance Program. This program is designed to bring in artists who are not primarily playwrights to write and create new works for theater. It was designed with the Survivor television series in mind. That is, we started with seven artists (performance artists, poets, spoken word artists, etc.) and provided them with an initial commissioning fee and the support of dramaturges, directors and actors. After several months, Mu held a reading of the seven pieces, either in full or excerpts, and then selected four to continue on to the next stage in the process. After another set of readings, one piece was selected to receive a main stage production. That piece in the first round was Q & A by Juliana Pegues and was produced in June 2008. However, two of the other pieces, Asiamnesia and Sia(b), both still interested us and we later produced them as a pair of one act plays in the fall of 2008 under the title Under The Porcelain Mask: Asian American Women Speak Out. Each play took its own unpredictable artistic journey to get to that production. In the case of Asiamnesia, it started as a group writing project proposed by Sun Mee Chomet. She wanted her project to give voice to a number of Asian American women on the subject of their own lives, dealing with stereotypes and other forms of challenges and identity angst. In both of the readings in the process, our feedback to Sun Mee was that the results of the group writing process were too uneven and not as effective as imagined. We were in fact going to drop the play from the process when Randy Reyes, who was serving as the director/dramaturg, pleaded that there was something worth pursing in the piece. We agreed, with the promise that Sun Mee would take on the writing as a solo playwright rather than continue the group writing process. In the summer of 2008, Sun Mee took on the whole project herself and the result was Asiamnesia. It did include one existing poem by Katie Hae Leo, but that was the only segment by an outside writer. The production was directed by Randy Reyes, and it was recognized in the Minneapolis Star Tribune’s 2008 Year End Review by Rohan Preston as the best new script. With Sia(b), we thought May Lee was a long shot in terms of the survivor system. She was the least experienced of the participants, but through her work with Robert Karimi as her director/dramaturg, she was able to generate her play with the Hmong American perspective which has been generally underrepresented in Asian American theater. We saw this piece as a groundbreaking work leading a new wave of Hmong American plays. Mu recently produced WTF by Katie Ka Vang as part of our second round of the Jerome program which took a very different, edgier tone about the Hmong American experience. So in both of these cases, the results were quite unexpected and gratifying. Mu’s Jerome New Performance Program has been one of the keys to our development and production of new work.